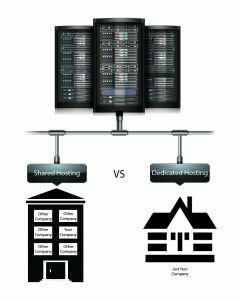 In the first post we briefly compared shared and dedicated hosting services. ModernOne we offer you a wide range of dedicated servers that meet your server requirements as well as remain in your budget. A small business that runs an online store or a company’s website wants to spend time, money, and energy on server management, That’s why the best solution is to go completely hosting hosting services. Managed hosting means that the hosting provider is responsible for handling all server-related issues. You not only rent hardware from the host, but also pay them to manage it. It is similar to the purchase of new cars get free oil and maintenance of a comprehensive warranty. Server monitoring – Server monitoring is important for your organization.This is a process of constantly scanning the server to search for any irregular or potential failure. The system administrator continually monitors the servers to identify these points of failure so that they can resolve them before they become a major problem. Reduce operating costs- Employing a managed partner who is already equipped with a person with experience and skills to handle any server-related issues is usually financially viable. Save time and money- In business, time is money. The time you spend on managing the server – and the time to manage the server administrator – is the time to better focus on your core business. Domain names are simply www.google.com, www.yahoo.com , www.modern.com.my … etc. So your domain name is your company’s identity on the internet. Therefore, you like to think about a domain name complements your business, while easily searched and remembered. The following are 4 basic guidelines for creating domain names that help grow your business on the internet. 1.Use keywords that describe the goods and services you offer. 2.Avoid numbers, hyphens in your domain name. It makes your website name complex and less easier for customers to find your site. 3.consider including your shop’s location or city in your domain name to draw in local customers. Thy are your immediate pool of customers. 4.Make it pronounceable. If you can’t pronounce it, no one will remember it.